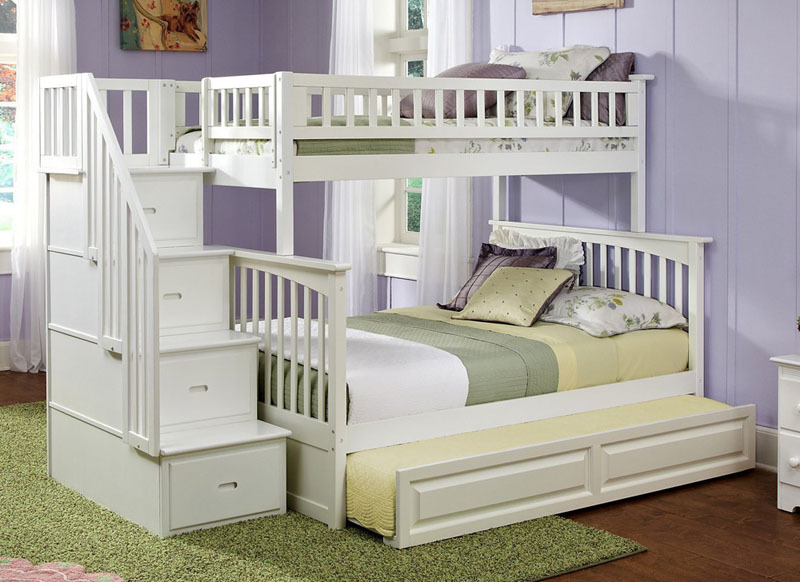 Some parents prefer bunk beds with stairs for practical reasons as well as safety reasons. 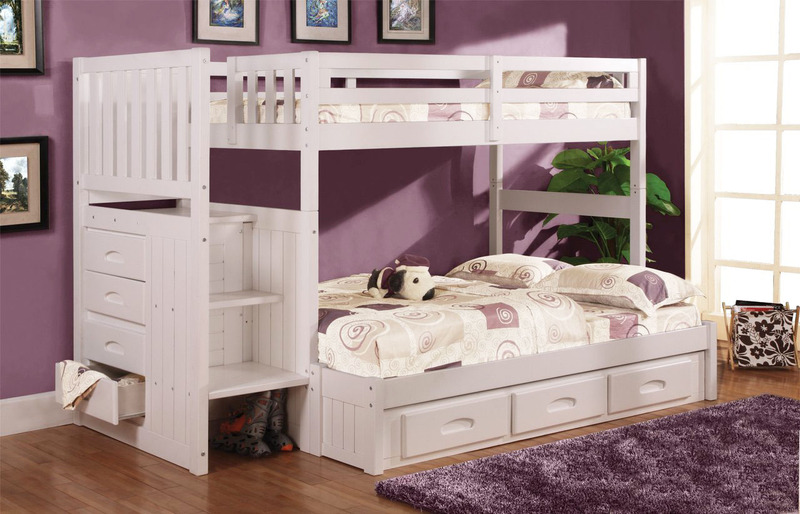 The stairway can be used for storage and provide easy access to the top bunk. 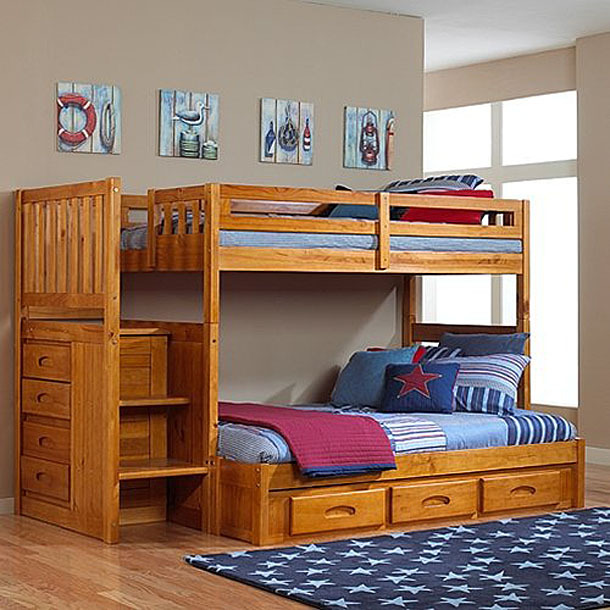 The twin over full bunk beds offer extra room for the lower bunk, and bunk beds with trundle allow even more sleeping options for extra guests.